Our aim is to enable you and your family to reduce food and rubbish waste in your household. 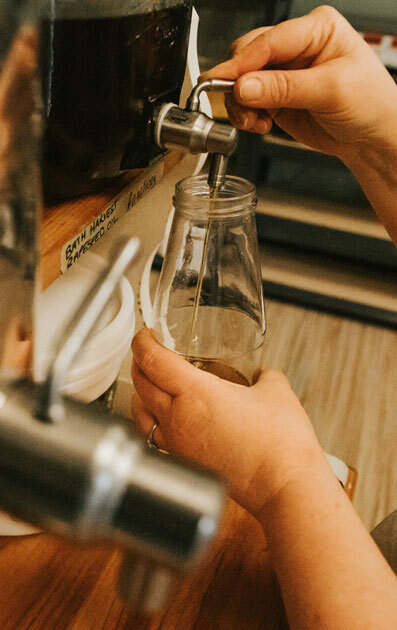 We want to make a Zero Waste lifestyle easily accessible for anyone who wants to make a difference. "This isn’t a hippy, new age way of shopping. It was done like this before large supermarkets defined our shopping habits." Supermarkets waste so much and often undercut suppliers and producers. Every evening a criminal amount of food is wasted. Avoid being part of over supply and just buy what you need. When shopping ask yourself who made this? Were they treated fairly? Everyone deserves a fair chance and it should be our responsibility to stop depleting and exploiting other countries. 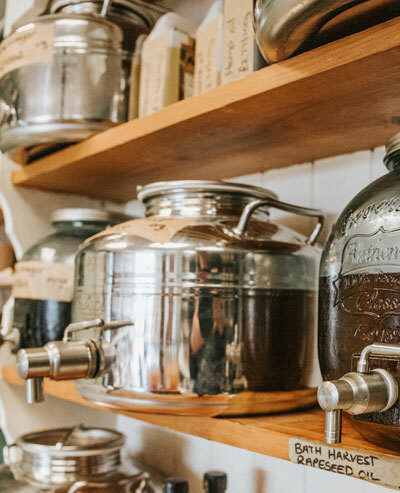 Zero Waste Pantry is helping our environment by stocking organic products sourced as locally as possible. I wanted to give up using unnecessary plastic and packaging in general. I wanted to get back to basics, to have control over how much I needed to buy and where it came from. My eyes were opened to the impact of plastic long before Blue Planet 2 and now that I am studying for a Degree in Social Sciences it has opened my eyes even more to things like consumption, sustainability and ethics. I have discovered that small steps do make an impact. We can stand up to supermarkets and big corporations and stop them from passing the burden onto the consumer. 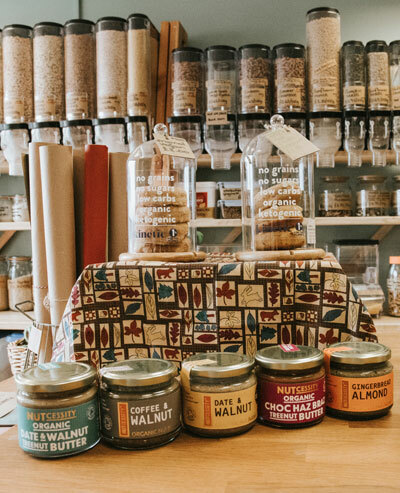 By choosing to shop at Zero Waste Pantry you can help to reduce un-necessary packaging, food waste and go plastic free easier. Do you need it? Can you live without it? Will you use it again? If not, politely decline. Say no to anything that is single use. Say no to straws, plastic cutlery or paper plates. Simplify your life. Try not to buy more then you need to reduce waste production and help to stop unnecessary consumption. Every little bit can help. Avoid single use items. Move to more sustainable options. Reuse those jars and bottles. Check if your area has a jar bank you can donate any unwanted containers to. If an item breaks ask whether it can be repaired before replacing it. When it's time to replace it try to look for something that can be repaired or may last longer. It’s worth the effort and can save you money - promise. If you have followed the first 4 steps there really should be little to recycle. Check what your council does recycle and whatever is left behind be sure to rinse it and pop it in the right box. There are programs popping up everywhere that will take things like toothpaste, toothbrushes and even crisp packets. However, this is helpful but a better solution must be found as tons of recycling can go to landfill every fortnight due to contamination. This last R refers to composting or setting up a wormery (great project idea!). If you can’t home compost, utilise your food waste caddy or chat to friends or neighbours who may already be home composting. You never know they may be happy to help you on your journey. There will be a range of dry goods in gravity bins, scoop bins or jars. At first the range will be small, but if there is anything you want me to get just have a chat or drop me an email. We will weigh your container for you and make a note of its weight. We will then fill this with your requested product at the amount you want. Once its full and you are finished shopping, its back to the till to pay. A range of ‘basic’ cupboard goods such as flour, rice, pulses, lentils, dried fruit and nuts. We have a range of herbs and spices as well as loose leaf tea. We also stock a range of cleaning products by Greenscents for refill including shampoo, conditioner and hand soap, so save those empty bottles for refilling. If you want further information on what we stock or if there is anything you think we should stock, please email us and we will investigate further.